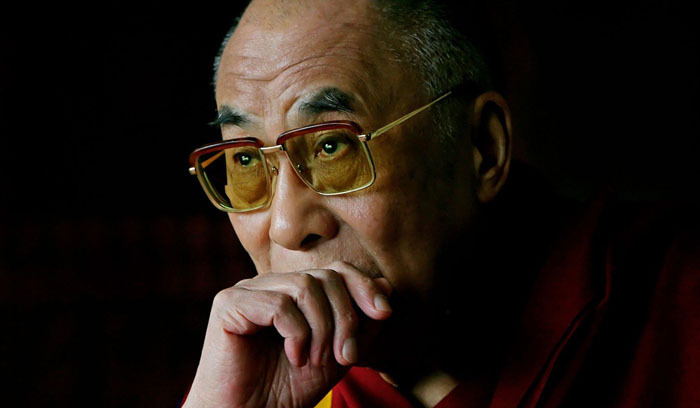 (TibetanReview.net, Mar20’19) – China presumably accepts that the next Dalai Lama can only be the reincarnation of the current one, the 14th, but has made it clear that he cannot choose to reincarnate in a place outside its jurisdiction. What it does not explain, however, is whether and if so how the 15th Dalai Lama it will somehow pick and choose could be considered the reincarnation of the current one if he should choose to reincarnate elsewhere. The issue bears pondering given the Dalai Lama’s latest media remarks published Mar 18 that it was possible he will be reborn in India. 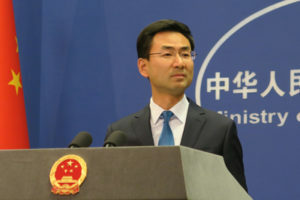 China responded Mar 19 by saying the next Dalai Lama could only be one approved by it in the context of its previous stand that he should be reborn in the People’s Republic of China over which its jurisdiction extends. “China – great nation, ancient nation – but its political system is totalitarian system, no freedom. So therefore I prefer to remain here, in this country,” Reuters Mar 18 quoted the exiled spiritual leader of Tibet as saying in an interview. “In future, in case you see two Dalai Lamas come, one from here, in free country, one chosen by Chinese, then nobody will trust, nobody will respect (the one chosen by China). So that’s an additional problem for the Chinese! It’s possible, it can happen,” the Dalai Lama was quoted as saying with a laugh. China has made it clear, however, that it is not for the Dalai Lama to decide where he would be reborn. “Reincarnation is the unique way of Tibetan Buddhism. It has fixed rituals and systems,” the PTI news agency Mar 19 quoted Chinese Foreign Ministry spokesman Geng Shuang as saying. China points to a golden urn provided by Emperor Qianlong, the 6th emperor of the Qing Dynasty, 1711-1799, as a possible additional measure for facilitating the finalization of the reincarnation of important Tibetan lamas by a system of drawing lots from it to assert its right of approval. Tibetans point out that the golden urn hardly ever needed to be used and in any case it was only a suggestion. The reincarnation system in Tibetan Buddhism had existed since the First Karmapa who lived from 1110 to 1193 and who was the first such reincarnation, predating the Qing emperor by half a millennium.